Fifteen ways to adapt your textbook so your students aren’t bored to death is the headline of the latest post appearing in my British Council blog. It’s a short except from the upcoming book Katie Hull Sypnieski and I have co-authored, The ELL Teacher’s Toolbox: Hundreds of Practical Ideas to Support Your Students, which will be out next April. 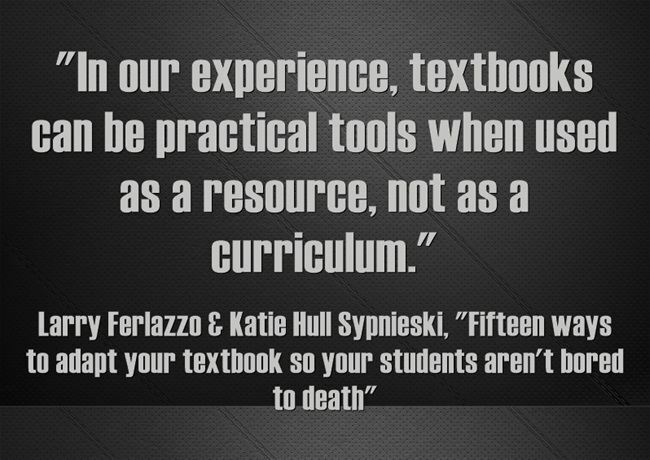 I’m adding it to The Best Resources For Adapting Your Textbook So It Doesn’t Bore Students To Death. You can see previous British Council posts here.